We were lucky enough to be in India today, August 15, 2017: India’s Independence Day. A day where in a country controlled by an oppressive government, people still celebrate their history, their heritage, and their freedom. We attended a celebratory ceremony at Daughters of Hope, one of our partners’ workshops, where the women danced, sang, and spoke. The women were beautiful and nervous. They were excited to honor their country, and to share with their peers the rehearsed choreographed and lyrics. One of the leaders of the workshop spoke on the meaning of the Indian flag. 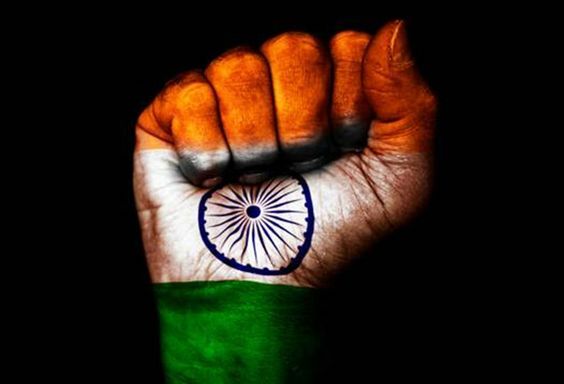 As the American flag is for many of us, the flag of India is of great significance and honor for the Indian people. Specifically she discussed the 24 spokes of the Ashok Chakra (the blue symbol in the center of the white stripe of the flag). What intrigues me most is that these principles are rooted in Buddhism, Jainism, Christianity, Hinduism, Islam and Sikhism. In a country that is continually plagued by religious animosity, there is a symbol that combines elements crucial to the practices and beliefs in a multitude of religions. Everywhere we traveled in India we met good people. People with pure hearts regardless of their beliefs, their practices, or their God. We are guided by innate human goodness, and in a world of dissonance, fear, and chaos—there is comfort in that. I believe in a God that created us in His image. From that, comes our inherent knowledge of right and wrong. I believe we were created in the image of the embodiment of love, which leads to a life practicing those 24 spokes on the Chakra. But I also believe that religion cannot divide us. If it is to define us, let it label us, the “religious types,” as the empaths, the courageous, the humble, the magnanimous, the good, the gentle, the kind, the just, the merciful, the patient, the faithful, as the lovers. So as we celebrate India’s Independence from England, let’s pray for a freedom from hate and religious discourse, and for a nation of people practicing what their flag preaches. Newer Post"I can buy food for my family."